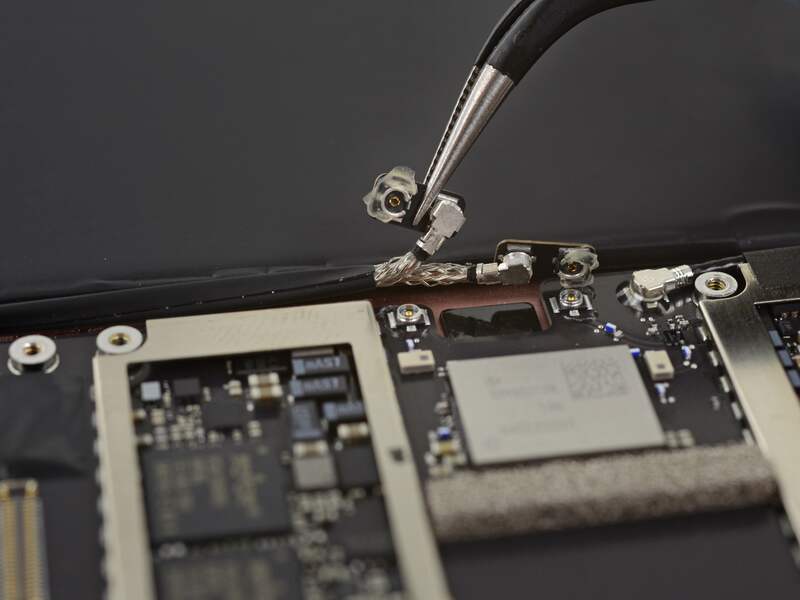 Repair wizards over at iFixit have torn apart Apple’s new 9.7-inch iPad Pro (model A1673) only to discover that the device is extremely difficult to repair due to “gobs of adhesive” used to keep the components secured in place. 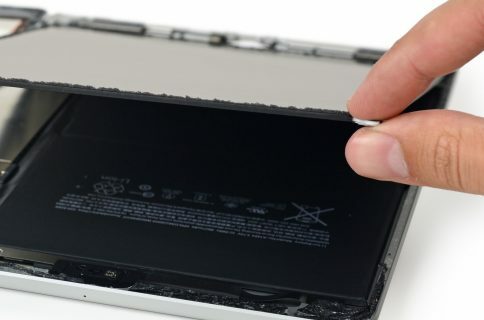 In addition to copious adhesive, the device’s smaller form factor, the addition of four speakers and some “weird cabling choices” have earned the new 9.7-inch iPad Pro a sad 2 out of 10 repairability score, same as the original iPad Air and a point less than the first iPad Pro. 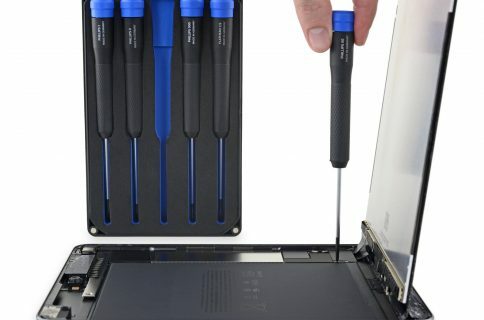 “We think this is the most glue we’ve seen in an iPad to date, making repair miserable,” concluded iFixit. The 9.7-inch iPad Pro uses Samsung-made RAM and SK Hynix-made flash storage. The device is powered by a 3.82 V, 27.91 Whr, 7,306 mAh ten-hour battery, which is quite a bit less than the 38.8 Whr capacity of the 12.9-inch iPad Pro and “fractionally better” than the iPad Air 2’s 27.62 Whr package. Thankfully, the battery is not soldered in place. 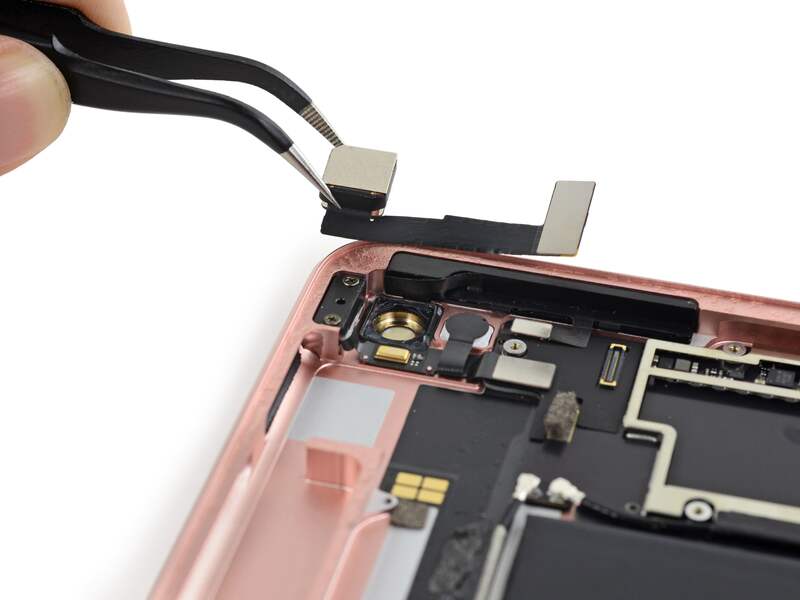 The Smart Connector port is “virtually impossible to replace”, the fused front panel increases the cost of screen repair while “gobs of adhesive hold everything in place,” making all repairs more difficult than expected. “A big slab of EMI shield” covers the logic board. 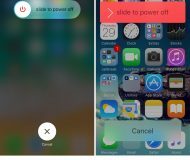 Other findings of the teardown analysis confirm what we already know about the device. The fully laminated 9.7-inch Oxide TFT “True Tone” display is LED-backlit and has a resolution of 2,048-by-1,536 resolution pixels at 264 pixels, the same resolution as all 9.7-inch iPad models. The third-generation 64-bit A9X processor with the embedded M9 motion coprocessor is the same as one in the 12.9-inch iPad Pro. The 12-megapixel iSight rear camera with 4K video capture at 30 frames per second is basically the same part as that on the iPhone 6s, as is a five-megapixel shooter with 720p video capture out the front. 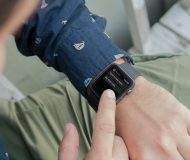 The device also features two ambient light sensors for the True Tone display feature along with Apple’s standard sensor array which includes the accelerometer, barometer and three-axis gyro sensors. Here’s the device’s two-speaker part. 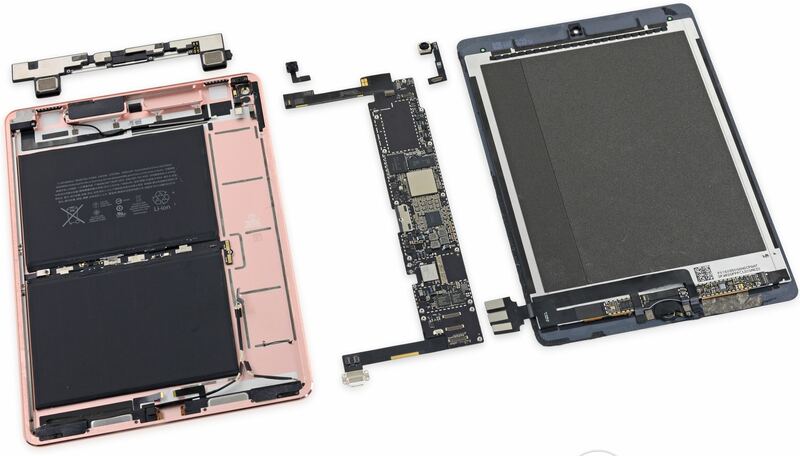 There are two such parts inside the 9.7-inch iPad Pro. 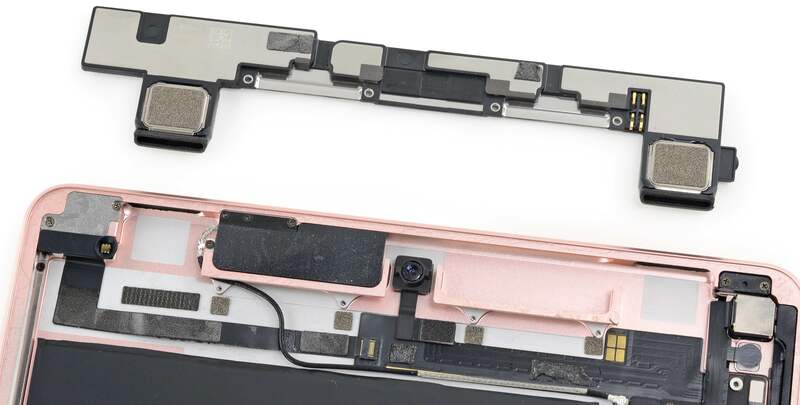 As for a 1.1-millimeter camera bump, which is nowhere to be seen on the 12.9-incher, it was probably necessary on the 9.7-inch iPad Pro model due to the slightly shallower rear case and spec’d up rear camera, says iFixit. 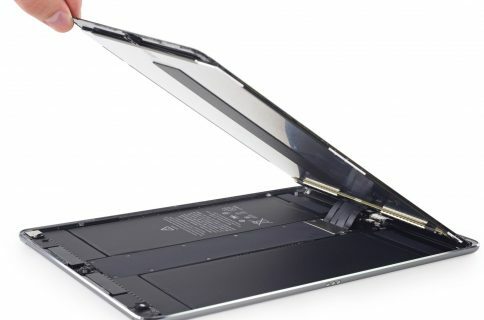 “In all seriousness, it’s refreshing to see a redesign that seems to focus on features rather than a nigh-pointless reduction in thickness, in a device that’s already thinner than a pencil,” reads the analysis.